The Home Tour Directors and their committee are responsible for the Meridian-Kessler Home Tour, the largest and most prestigious tour of vintage homes in Indiana, and a tradition at the very heart of the neighborhood. The Home Tour, now entering it’s 38th year, begins on Friday evening with The Twilight Tour Celebration Benefit Dinner, Dance and Silent Auction. All funds from the Silent Auction support MKNA Grants for Youth, Senior and Service organizations. These dollars turn into summer camp programs, library reading programs, fitness and sports programs, health and mentoring needs, beautification projects, leadership training and academic programs. The Twilight Tour is followed by the Day Tour, a two-day tour of homes which showcase the beauty, diversity and compelling quality of this neighborhood.  The Home Tour is probably the most volunteer intensive activity of Meridian-Kessler, and its largest source of funds. Subcommittees range from Home Selection, Home Reviews, all important Publicity, Silent Auction, Planning, Advertising, Host/Hostess, Twilight and Sponsorship. This tour has had a huge impact on our community over the years and has proven to be a strong stimulant for its continued renewal. Please join in this year. Add your home to the rich roster of participants-it is a wonderful goodwill gift to the community and a great timeline for getting those projects that you have always wanted to do DONE. We also welcome tour home suggestions. For volunteers, it is an upbeat opportunity to make new friends while directing benefit to your neighborhood. So call in or email lend your talent and be part of this neighborhood tradition.